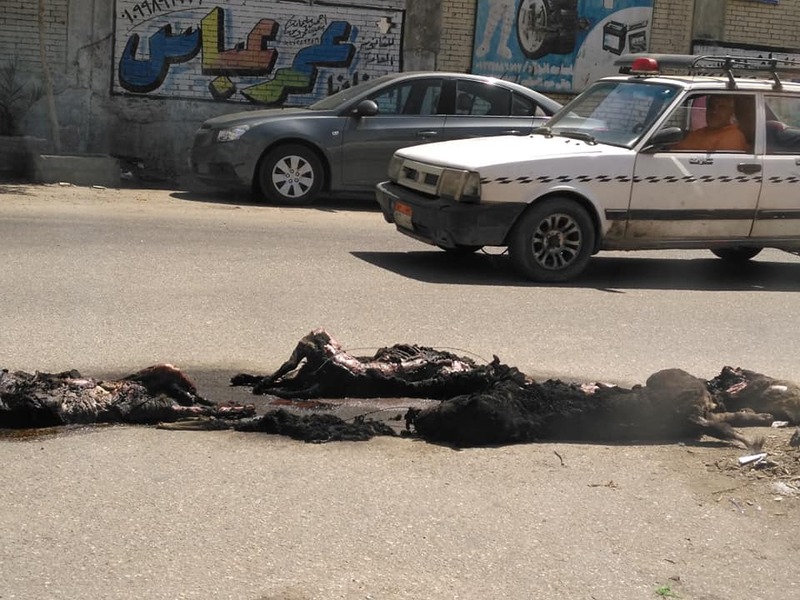 Graphic images of four dogs tied together and burnt to death in Cairo’s Shubra district has caused outrage across social media, with demands for a swift investigation to find the perpetrators and better laws against animal cruelty being called for. He added that the scene was somewhere in front of a Technician school. In an interview with Dream channel, Elmasry said that he did not see who committed the crime. He added that it looked as if the dogs had been set on fire while still alive. The photos soon went viral on social media, with people calling for harsher laws on animal abuse. One of them is Egyptian footballer Ahmed Hossam, popularly known as “mido”, who wrote on his twitter account that the Egyptian parliament needed to issue new laws against anyone who commits such merciless acts of violence against animals. He condemned the current penalty of maximum one year in prison and a fine of LE 200 as just a slap on the wrist. Lubna Helmy, head of the Animal Protection Foundation, is another person who condemned the incident. Speaking to Al-Wattan newspaper, she asserted the necessity for a deterrent law that criminalizes such killing of animals, so that the judgment of those who did this crime would be a lesson for all. Animal rights activist Dina Zulfakar said that the state must confront violence against animals through new methods, as it has now become a widespread phenomena. Zulfakar urged for better education and curricula in schools and universities to raise students awareness of animal welfare and how to better deal with them. She pointed to the important role the media has in covering animal-related issues, adding that the media is interested in presenting the issue but not what to do about the cruelty.